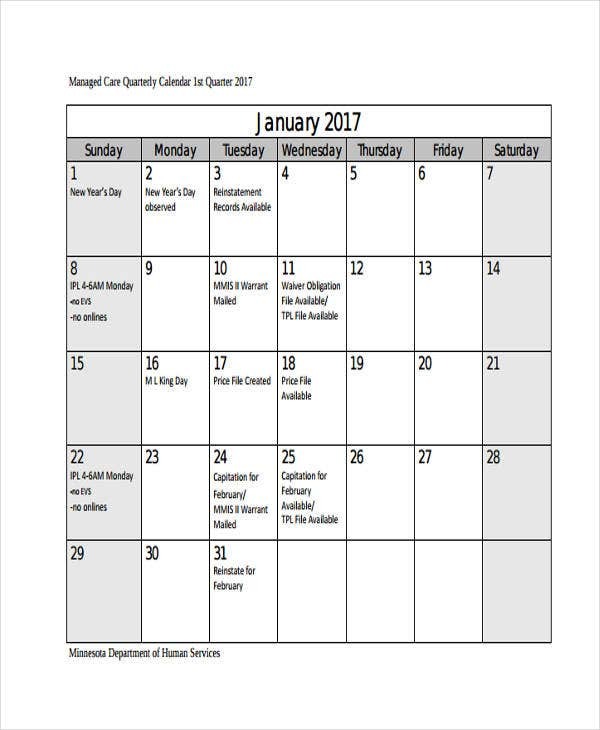 A quarterly calendar is the type of calendar that is divided into quarterly segments. This means that the months present in a year’s time will be divided into four groups or four quarters. This allows entities to focus on events, activities and processes that need to be executed in a specific quarter. We have curated a variety of quarterly calendar templates and samples that you may use as references in creating this particular kind of calendar. 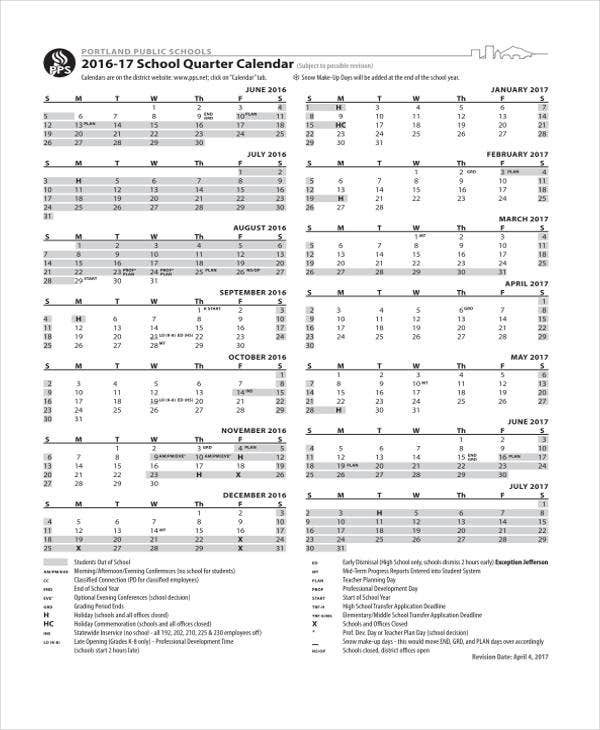 Other than that, we also have downloadable samples of Perpetual Calendar and Marketing Calendar templates that you may browse through in the respective links provided. 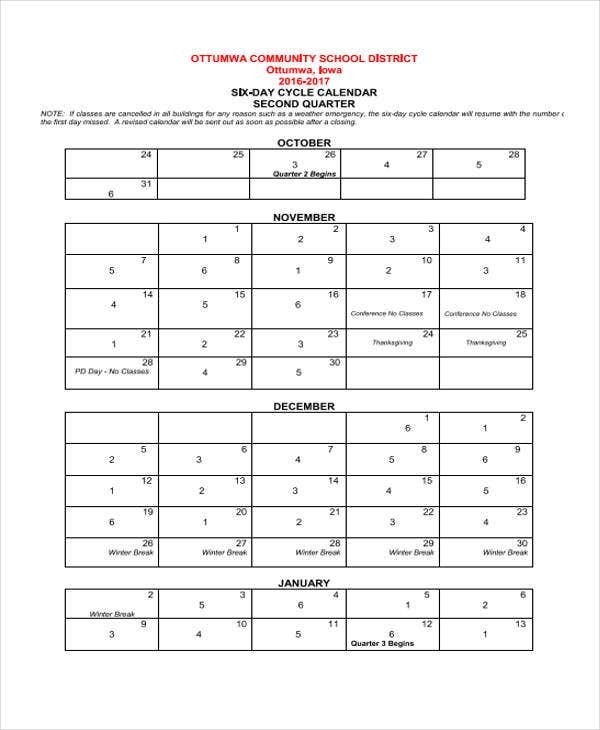 What is a Quarterly Calendar? 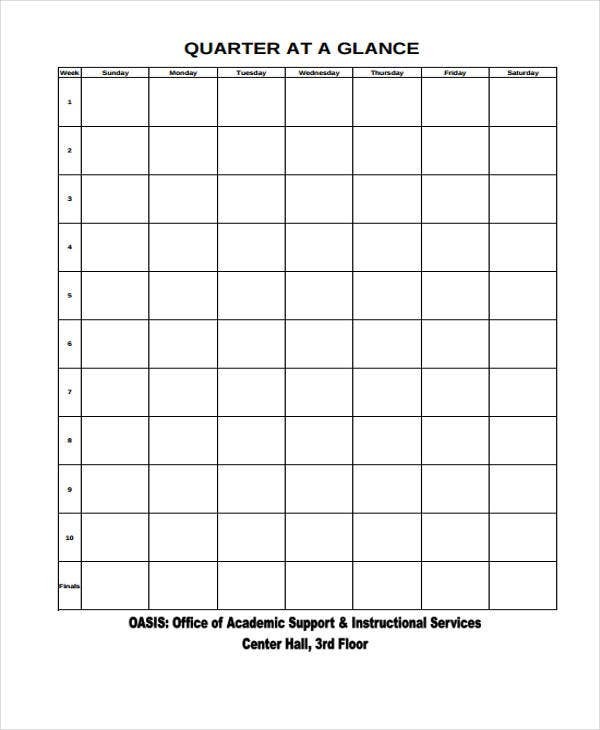 It can be a personal quarterly calendar that is used by an individual to plot his/her routines, special work assignments and other engagements. Personal quarterly calendars may be applied in any aspect of a person’s life. It can also be used to collate all the functions of the person in different environments. 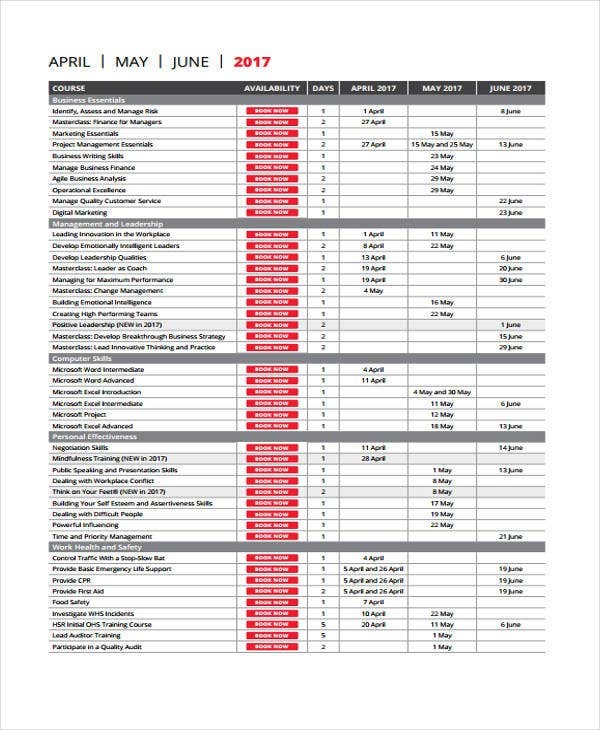 It can also be a business quarterly calendar that guides all the areas and divisions of a business about the goals and objectives that need to be accomplished within a specified operational quarter. 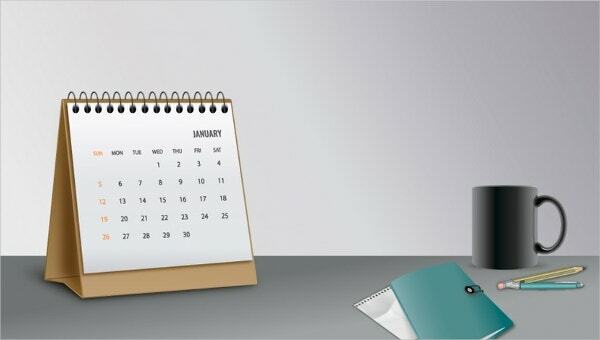 Quarterly calendars can also be an organizational quarterly calendar which can help groups to know the things that they need to implement within a few months to achieve the output that they want for the benefit of the organization. 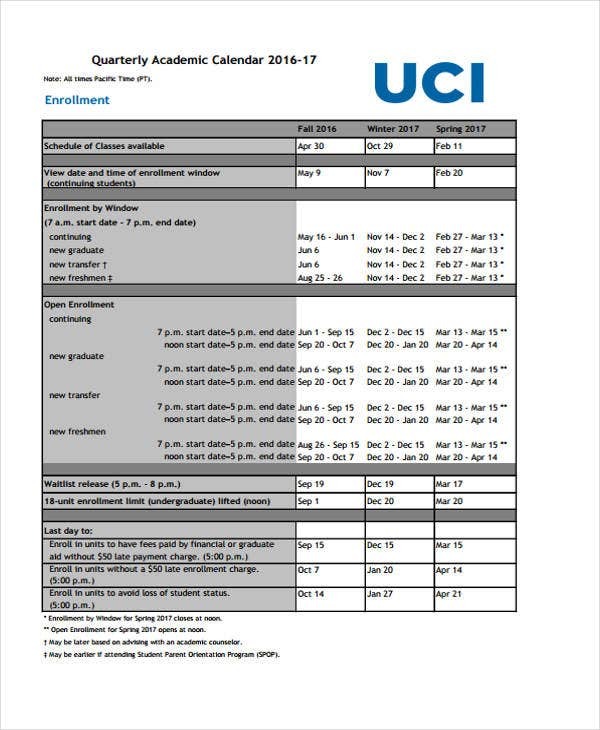 Other than our quarterly calendar templates and samples, you may also be interested to browse through and download our samples of Annual Calendar Templates and Training Calendar Templates in the respective links specified. or even a combination of these items. 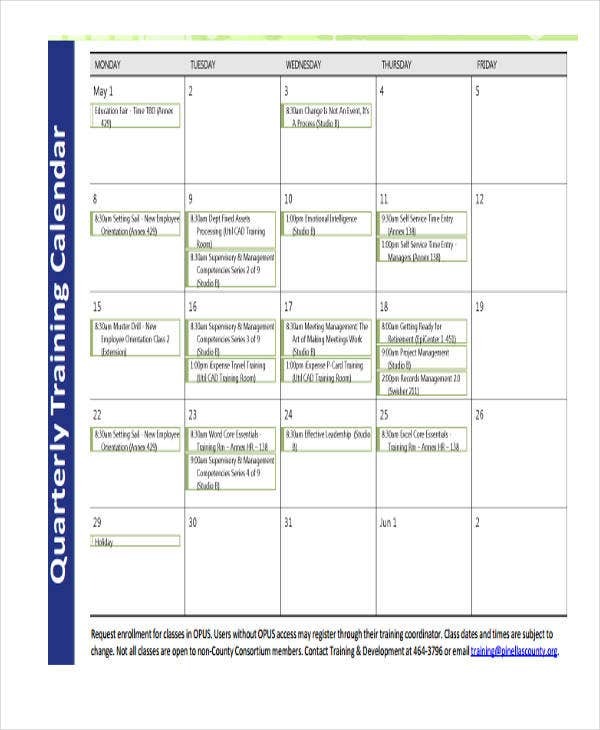 A quarterly training calendar is the kind of quarterly calendar used by businesses to list the number of training programs that are needed to be executed in a specific operational quarter. This will help them to properly schedule the most suitable date for the training that they have in-store for their employees. 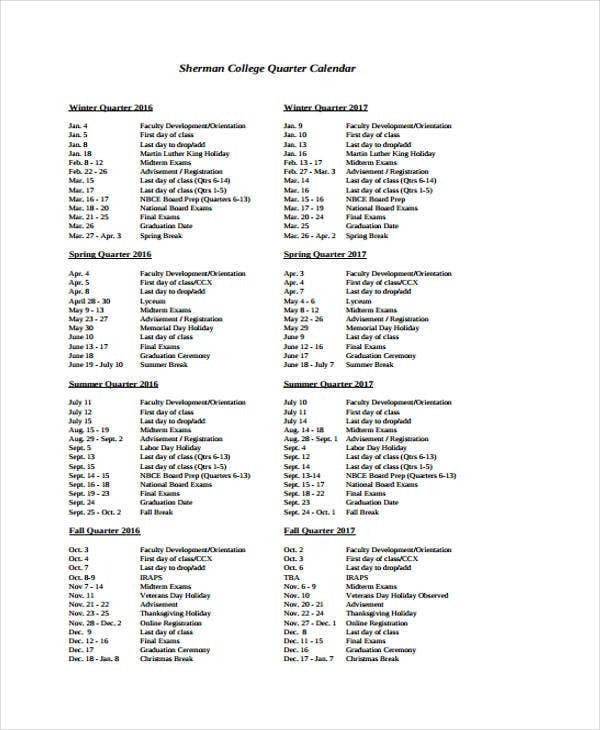 If you want to have a list of other kinds of Calendar Template samples aside from the quarterly calendar templates that are available in this post, kindly browse through the specified link for references.